I am absolutely dying to read this thriller! I get the shivers just reading the summary. I don't make enough time to read mystery though I've found some favorites in the last few years : Cover of Snow by Jenny Milchman, the Liv Bergen Mysteries by Sandra Brannan, Luther. Yes, yes. I know Luther is a BBC television series, but it puts me in the same frame of mind. Ready to hide under the covers with the lights on! Anyway here's this week's #WaitingonWednesday! 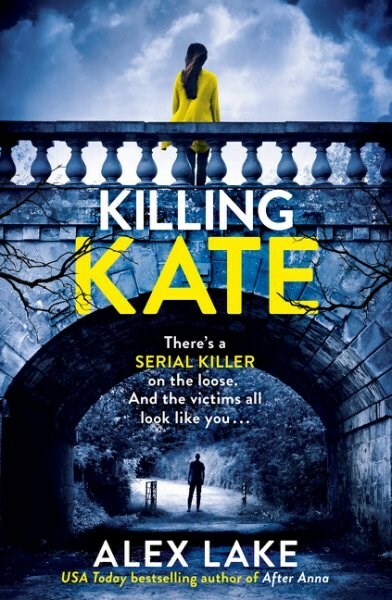 KILLING KATE by Alex Lake releases January 31, 2017 from HarperCollins 360.